This is school vacation week here so I needed a small project to keep me busy between snow storms and adventures with the kids. We've got 9 FEET of snow on the ground so I'm dreaming of warmer days. Digging through my stash I spotted these Navy and Chartreuse Essex linens and before you could say "too preppy for words" I whipped up a couple of Preppy the Whale blocks. I didn't want to make another whole quilt but figured these would be perfect as pockets for a tote bag. As usual I started with my go to pattern, the Summer Madras Tote by Noodlehead. 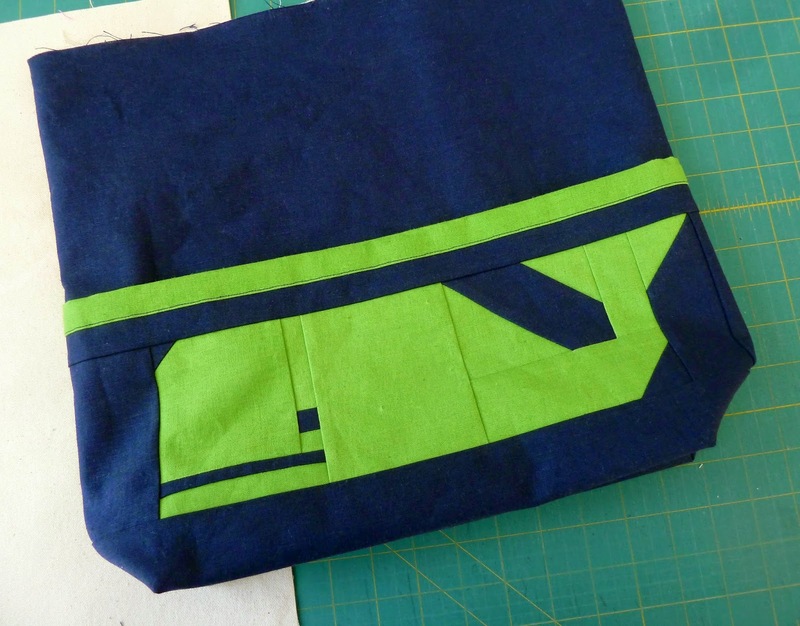 I added strips to the sides, top and bottom of the whale block to enlarge it to 9"x17" and made the lining piece an inch taller to use a fold-over edge rather than bias tape. I also got fancy on the inside and added a pocket and key fob. Now if Spring ever gets here I'm ready!!! 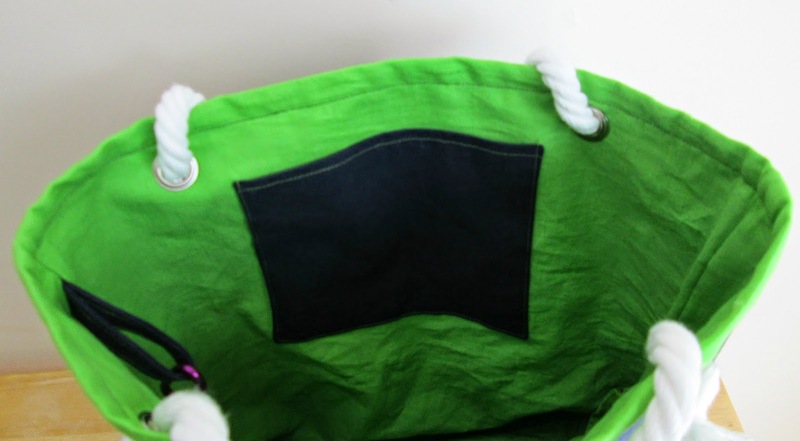 well, your tote is just so cute. can't go wrong with preppy! nice finish. love all the extras on it. This is too cute! I love the grommets and rope. Great colors also. Will go perfectly with some Top Siders and an outfit from Vineyard Vines! Actually, it will be cute with anything. Crazy, crazy cute. 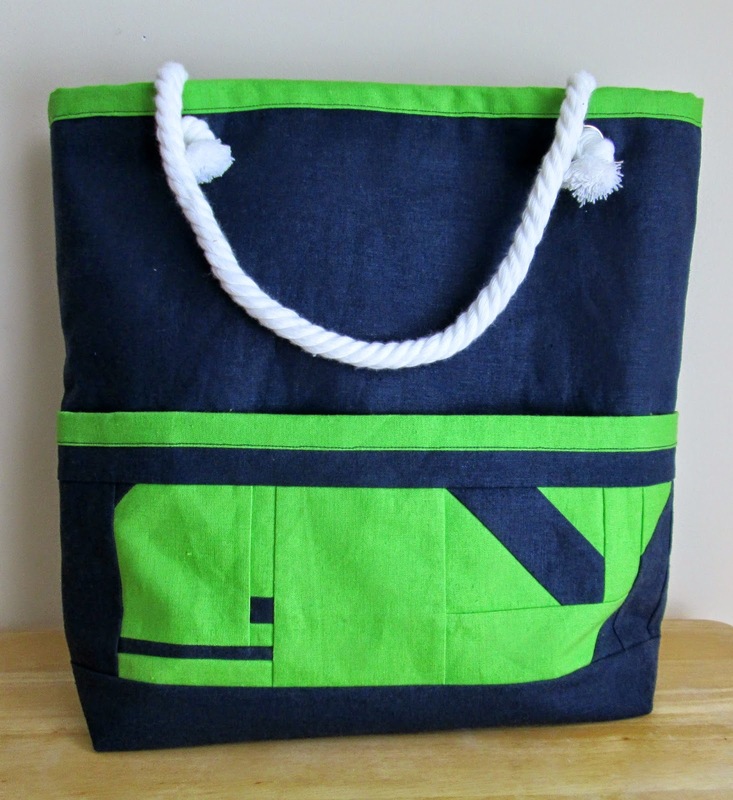 The grommets are a great idea here and add to the tote's summery and casual feel. Well done! 9 feet of snow!!! WOW! The whales are gorgeous too, and definitely good projects to keep you occupied in snow storms! This bag is so cute! 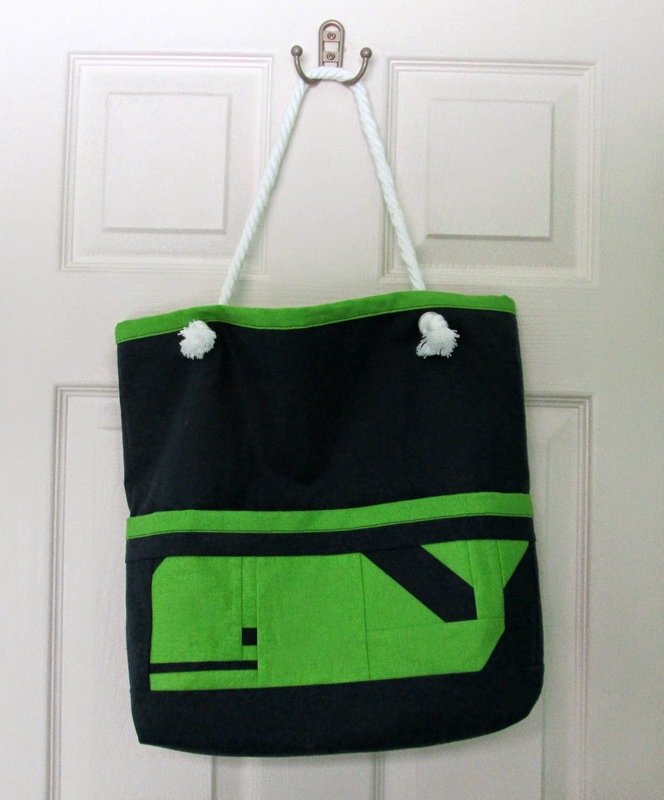 I love whales and I love that you've found more things to make with the quilt block.